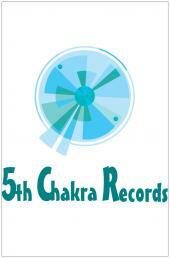 5th Chakra - the story..
5th Chakra Records....a little bit about us :0).. It was February 2009 when Lori Diamond's 2nd Cd, "Mystery" was released. 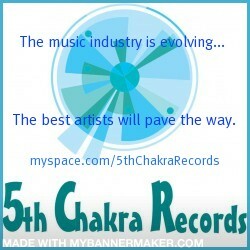 Little did anyone know, it was the same month that 5th Chakra Records quietly emerged. While Lori had originally created the label to carry her own works, it wasn't long before she realized the potential of bringing in other carefully chosen, seasoned artists. Today, just one year later, 5th Chakra Records is proudly announcing the brand new roster of musicians that bring forth a seamless culmination of influences including; Acoustic, Folk, Pop, Ambient, Soul, and a light peppering of Jazz and Blues. Stuart Ferguson, Carrie Rowan, Dan Chauvin, along with Lori Diamond & Fred Abatelli, are joyfully riding the wave while the team at 5th Chakra Records sees to it that new opportunities are always within reach. "Although this industry is rapidly changing, the demand for meaningful, beautifully executed music is as strong as ever, and this group of artists can and will deliver", says Diamond. One of the things that separates 5th Chakra from a traditional label, is that they are a collective of artists, working to elevate each other. "If one of us gets an opportunity, we do our best to spread the love." With so much passion and drive in one company, there simply are no limits. "We are shooting for the moon, but we fully expect to go right past it!